After the Civil War, Texas is at the mercy of murderous bandits. 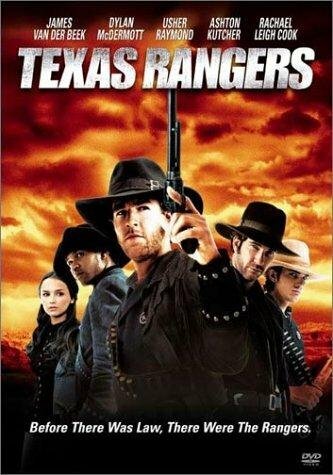 From the chaos emerges a group of young cowboys (James Van Der Beek, Ashton Kutcher, Usher Raymond) summoned to reform the Texas Rangers and restore order along the Mexican border. Under the fearless leadership of Leander McNelly (Dylan McDermott), the new Rangers find themselves severely outgunned and outmanned, but unmatched in courage and determination. Aside from a few seasoned veterans (Robert Patrick & Tom Skerritt), the recruits are young men who have little or no experience with guns or policing crime. The antagonists of the story are John King Fisher (Alfred Molina) and Ed Simms (Vincent Spano), who are stealing cattle from Texas cattle barons and driving them into Mexico, where they sell them to the Mexican army. In a final gun-slinging showdown, the Rangers face off against Fisher and his men in a battle that will tip the state of the border country in the direction of either chaos or justice. Lovely ladies in the cast include Rachael Leigh Cook & Leonor Varela.